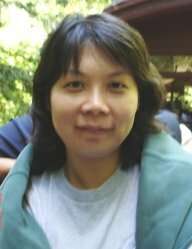 Lili Hsieh is the Mellon Teaching Postdoctoral Fellow in the Humanities and Social Sciences. In 2005, she received her Ph.D. from the Literature Program at Duke University . She has taught and published on films, popular culture, literary theories, global feminism, and modern/postcolonial literature. Her dissertation, “The Politics of Affect: Anger, Melancholia and Transnational Feminism in Virginia Woolf and Eileen Chang,” uses two iconic war-time women writers to map the intersections of psychoanalysis, sexual politics, and theories of globalization. In the years of 2005-2006, she will be working at the University of Pennsylvania on revisions of the affect project and a new project on desire, death drive, and the representations of femininity in psychoanalysis and Buddhism.